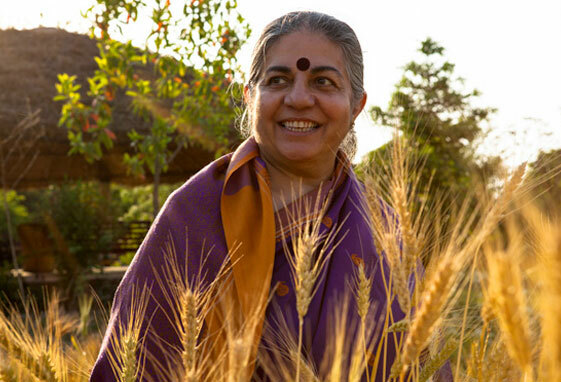 Dr Vandana Shiva is a world-renowned activist, philosopher, author, eco-feminist and scientist, who has obtained numerous awards for her work including the Right Livelihood Award (Alternative Nobel Prize), Time Magazine’s Environmental Hero and the Sydney Peace Prize. 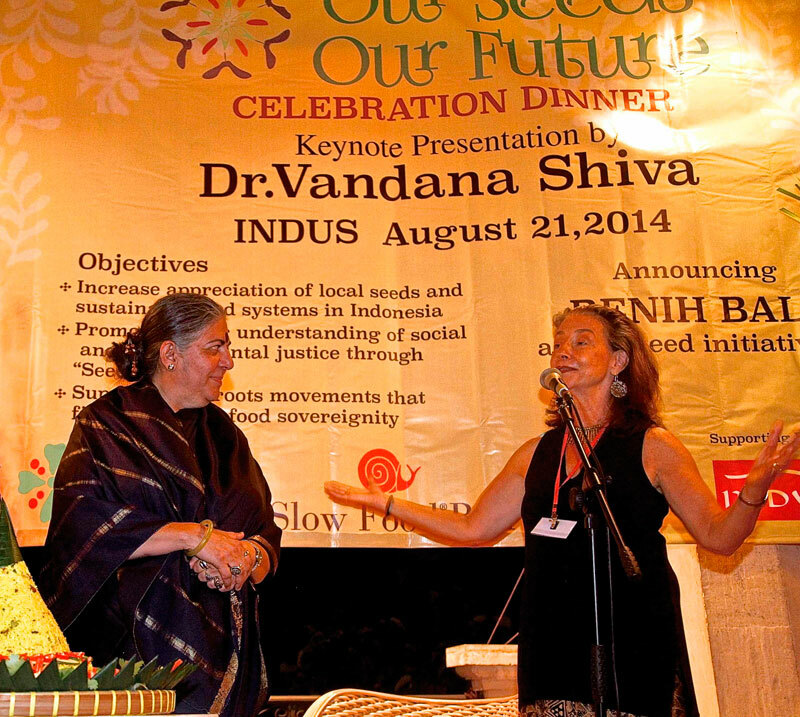 Both the Keynote Presentation (at the Celebration Dinner) and the Seminar Presentation of Dr Vandana Shiva in Bali built awareness about the threats to our local (and world) food systems if large corporations continue to gain further monopoly control over seeds. 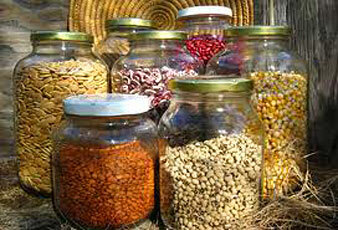 She warned us that the impact of the expanding “seed monopoly” will be felt not only by farmers around the world, but pervasively through out all aspects of society, including creating limitations to access to “good & clean” food, along with exacerbation of the challenges of climate change, loss in biodiversity, accompanying increase in world hunger, and related social and environmental problems. An outcome of the impressive OUR SEEDS, OUR FUTURE program in Bali was the announcement to soon create a local seed initiative, which would be called BENIH BALI. We are proud to announce that October 16, 2014, in celebration of the United Nation’s World Food Day (with this year’s theme being “Family Farming”), BENIH BALI was officially launched at a Celebration Gathering in the company of several supportive organizations, local food producers, and enthusiastic individuals. A special vegetarian buffet dinner was served made from home garden vegetables that all came from organic, open-pollinated seeds. More celebrations are planned!